San Jose, CA- AbiTalk Incorporated have released Multisyllabic, a new and innovative speech application. This application is designed to help children with special needs learn and articulate a large number of functional multisyllabic words, using a variety of cues and a motor component. Speech Therapists and teachers will find that Multisyllabic fills a void in their app toolkit because they will not find anything like it on the App Store. The goal of Multisyllabic is to help children with Autism, Apraxia of Speech and speech disorders learn and enunciate two to five syllable words. The application contains hundreds of functional words, grouped into engaging categories and grouped by position of phonemes, or letter sounds and their placement in the word. At the first level, “Words”, children have the highest level of visual, tactile, and auditory cues. At the Phrase and Sentence levels, there is still cueing, but additional words, and in all levels there is the option to record student speech output. 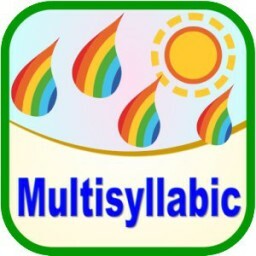 Multisyllabic also offers the option to add unlimited users, tracking data for each child, and many options to customize the app for the user, which is a hallmark of the speech applications from AbiTalk Incorporated. There is plenty of encouragement for children to keep trying and an entertaining, but optional reward game as well. This is a speech application like no other. Be sure to download it on the Apple App Store, the Amazon Store, and from Barnes and Noble. AbiTalk Incorporated offers hundreds of educational mobile apps focused on reading, math, science, phonics and now speech therapy. Each app is loaded with content, but allows children to progress at their own pace. Praise and awards are built into each app, encouraging players to keep trying. As parents and educators, we know how kids learn and what gets them excited. As developers, we are able to channel that knowledge into educational games your kids will want to play. All Material and Software (C) Copyright 2015 AbiTalk. All Rights Reserved. Apple, the Apple logo, iPhone, iPod and iPad are registered trademarks of Apple Inc. in the U.S. and/or other countries. Other trademarks and registered trademarks may be the property of their respective owners.